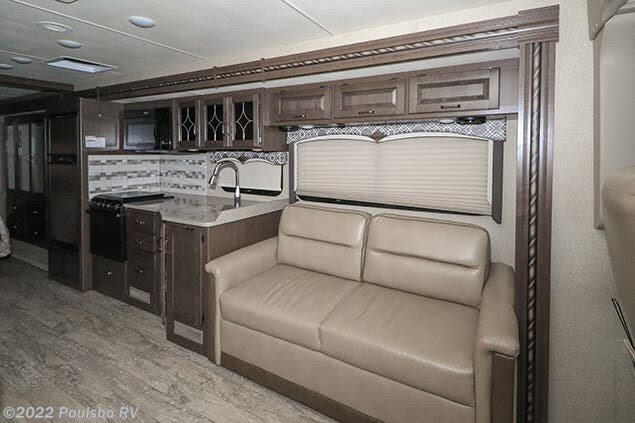 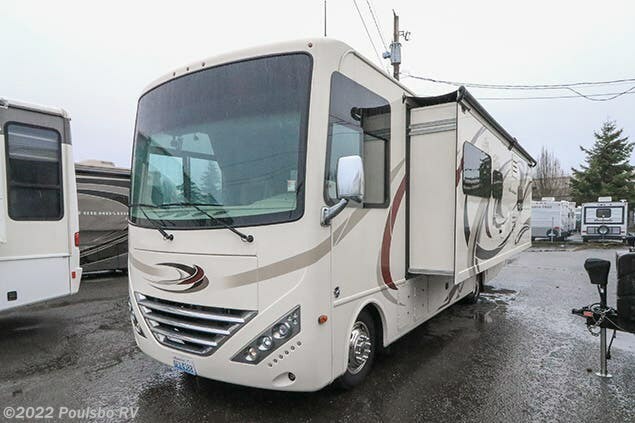 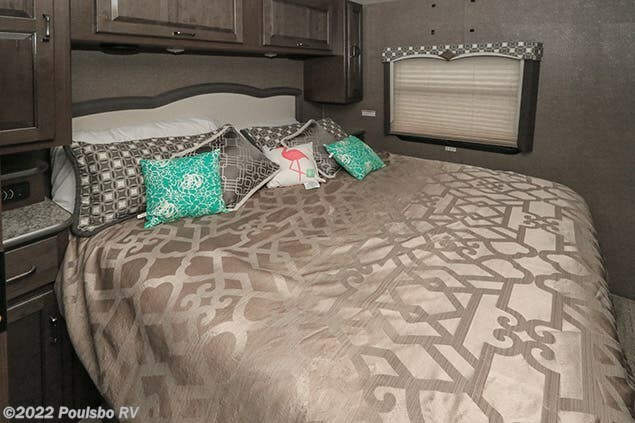 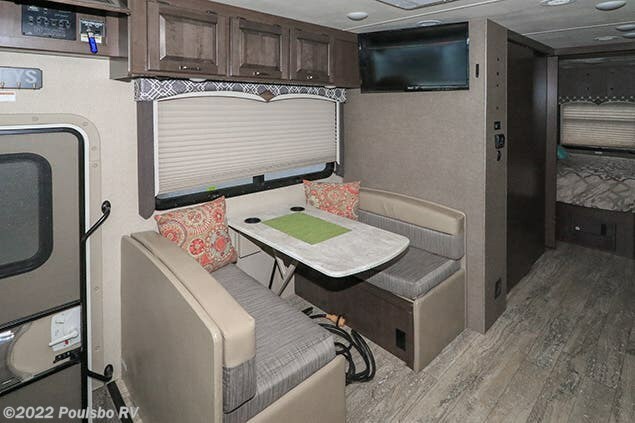 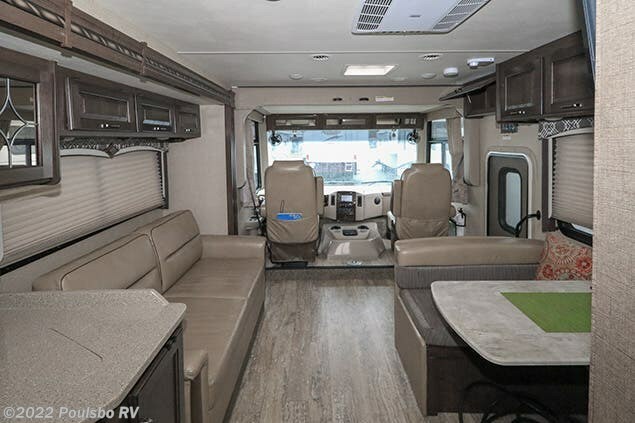 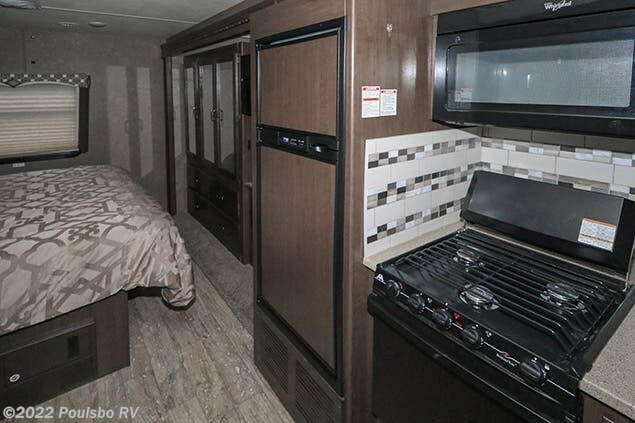 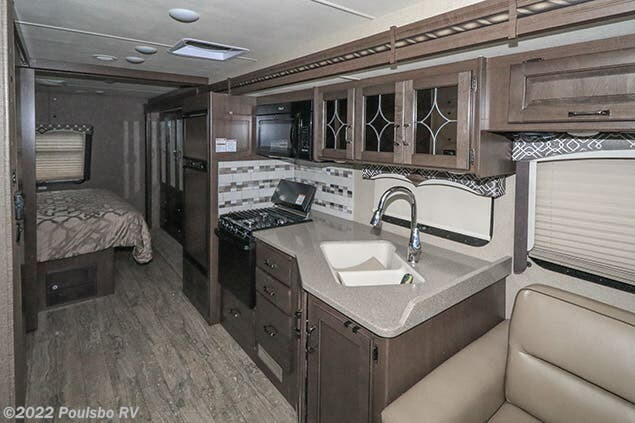 This Used 2017 Thor Hurricane 29M has one slide out, a sleeper sofa, a wall mounted HDTV, a bunk above the cab, and a booth dinette. 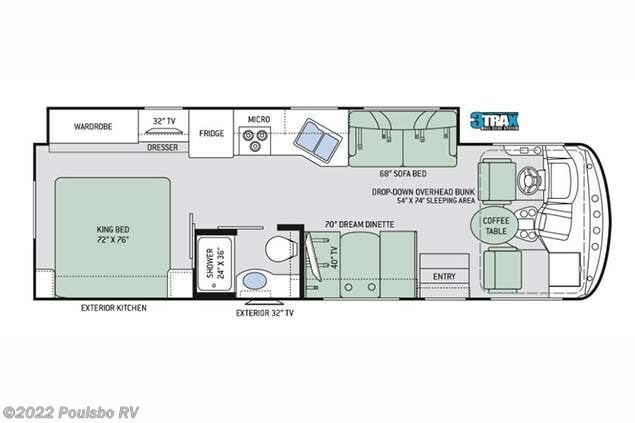 The kitchen has a double bowl under mount sink, a stove top with an oven, a microwave, and a double door refrigerator. 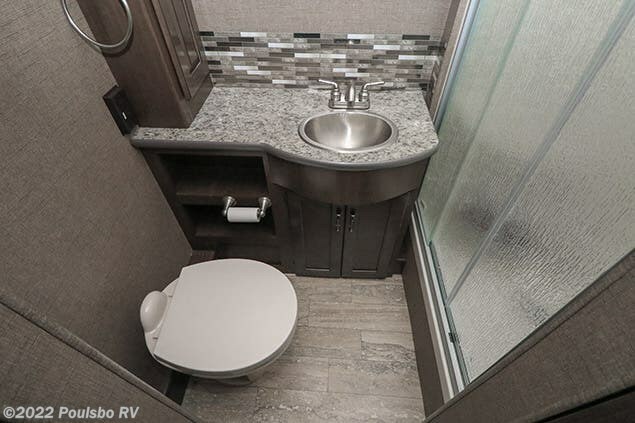 At the mid-section is a full bath with an enclosed shower. 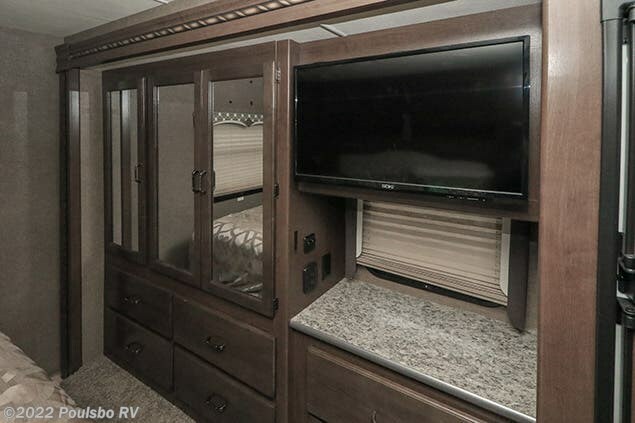 The rear bedroom has a walk around king bed with nightstands, overhead cabinets and an HDTV mounted in the mirrored wardrobe closet. 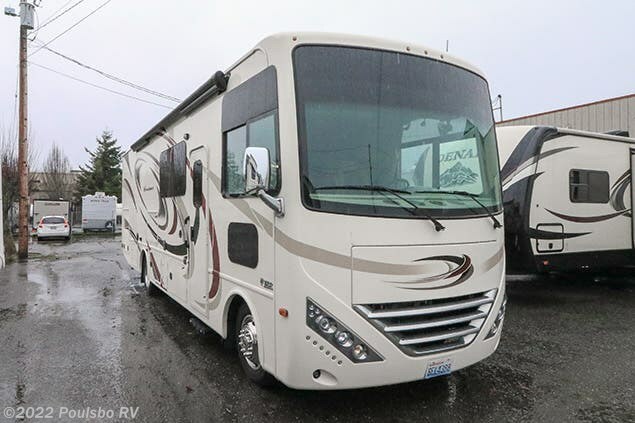 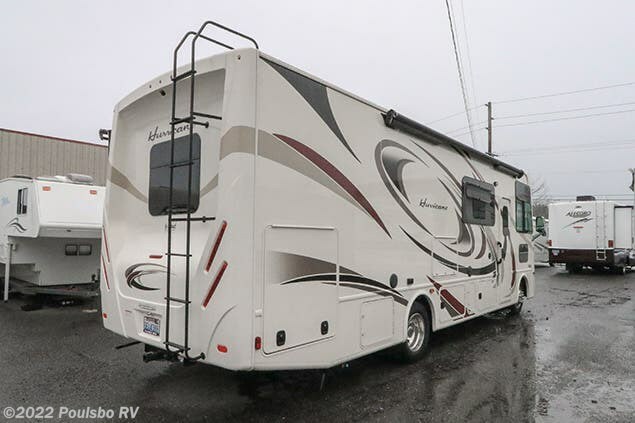 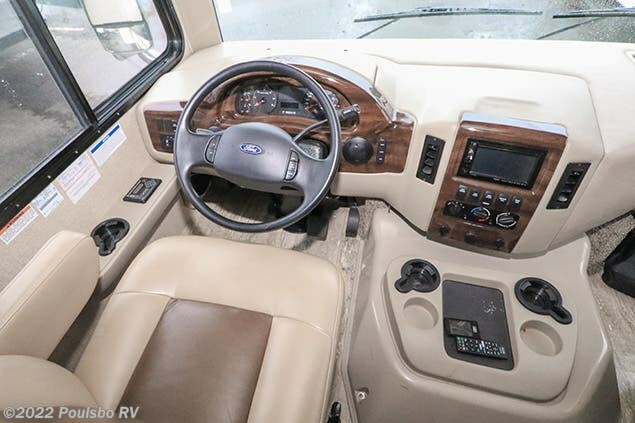 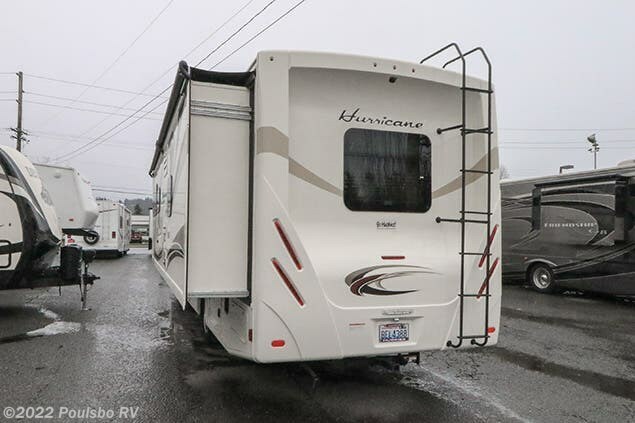 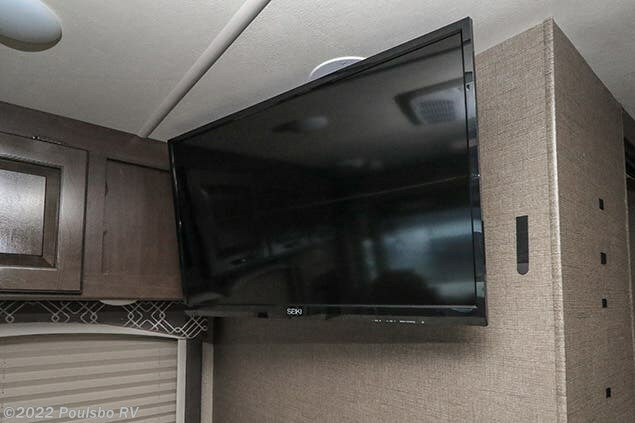 Heading back outside of the Thor Hurricane, you will find an HDTV, an Onan RV generator, a power awning, backup camera, outdoor kitchen and extra space for storage in the compartments.